With his birthday on the 17th, Fong Chung Shun said that he celebrated his 56th birthday with his family at dinner. Earlier Fat Soh very thoughtfully bought a birthday cake to celebrate in advance. What did his daughter give him? He complained that his ten year old daughter would not put any thought into her gift and would give the standard every year. "Every year she just draws a picture, with the words Happy Birthday and a drawing of the car brand that I like as a gift. (Did you forget to get her any money?) I gave and it was still like this, I didn't even get a kiss." Ah Tam said that his 8 year old daughter kissed him and would not let go. 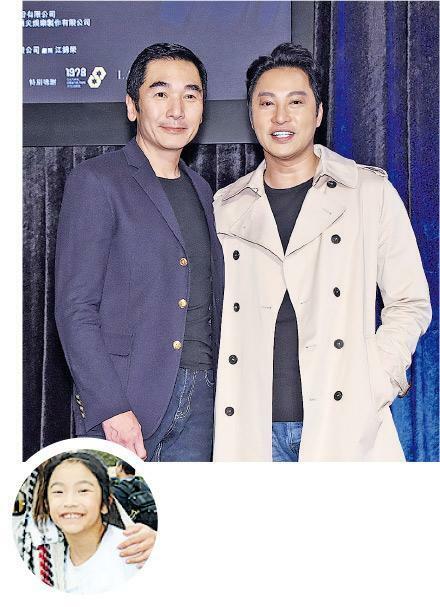 Fong Chung Shun said that he felt very hurt just from hearing that, but he did not dare to kiss his daughter because he was afraid that frightening her into not liking guys. Although he thought her gift was standard, he joked that it was better than giving him a grandson. Then he would be terrified.